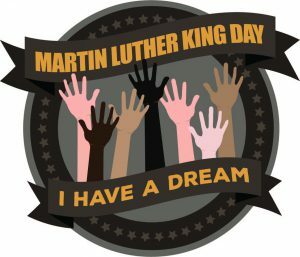 Celebrate Dr. Martin Luther King Jr.’s birthday with your students by encouraging them to express their own dreams for a peaceful world. 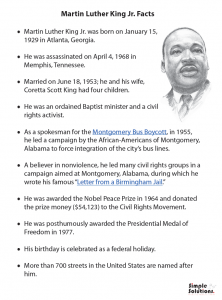 Dr. King’s well-known speech—delivered during the March on Washington, August 28, 1963—has become a source of inspiration to people around the world. 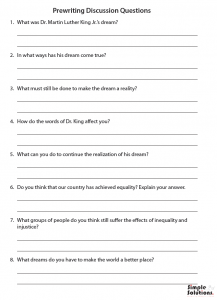 During this activity, you’ll discuss some facts about Dr. King and give your students the opportunity to hear him delivering his famous speech. 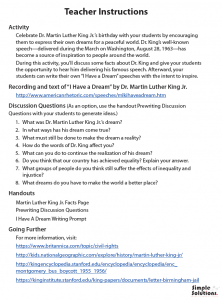 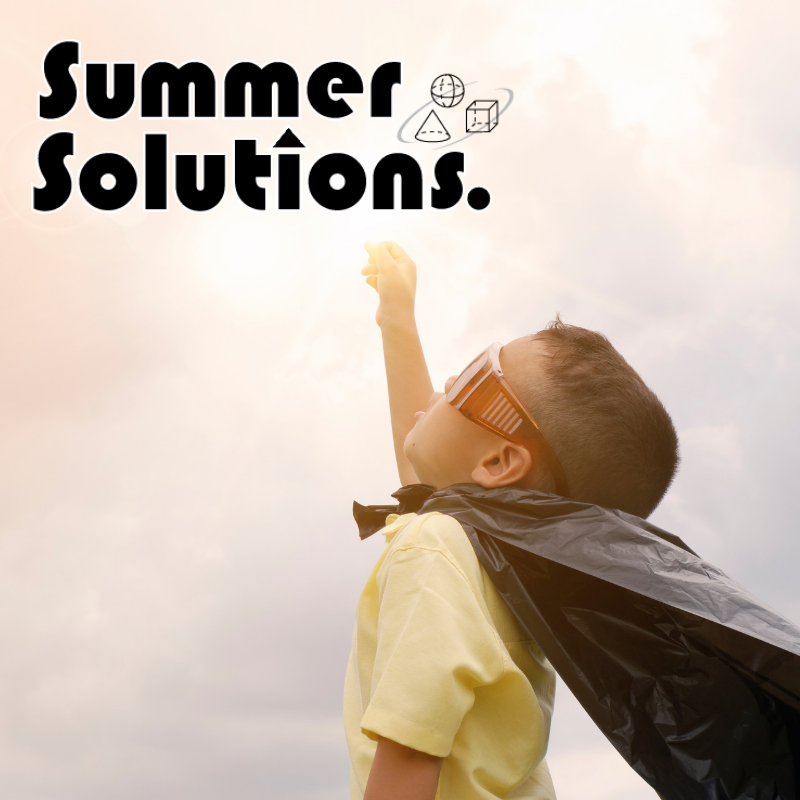 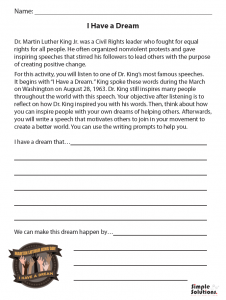 Afterward, your students can write their own “I Have a Dream” speeches with the intent to inspire.